It’s time to trade gray and cloudy skies and rain for endless sun and beaches. If you’re the person who craves new experiences and thrives off adventure then say hello to Tel Aviv, your newest study abroad destination. Tel Aviv is packed with markets known as shuks, music festivals that give some of the best in the world a run for their dough. England as a country has established themselves for having quite the rap for being a leader in music festivals dating back to the arrival of the Beatles. Israel, on the other hand, is becoming a top player as well and has secured numerous top bookings this past year like Avicii andSIa. If you’re looking for a music festival experience that’s not based on green fields but pushes it to the edge by being held in the desert, near the Dead Sea, or on the shores of the Galilee then welcome aboard. Why tell time with your Apple watch when you could tell time with hundred-year-old clock towers? You are in luck my friend because both Tel Aviv and London have enormous clock towers for you to use. 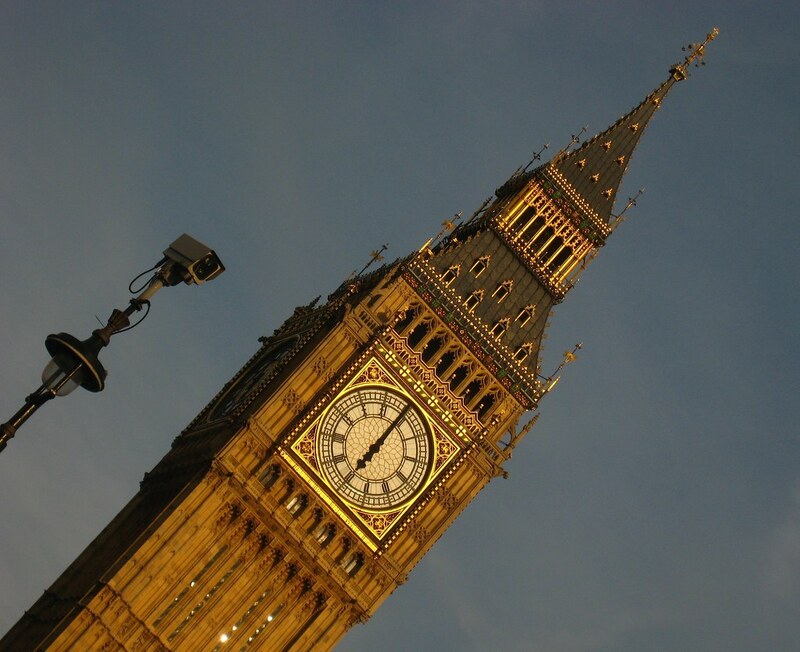 The Big Ben, located in London was built in 1844 and the origin why this clock was built is still unknown. Some say it was named after a famous English boxer, others say it was for the royal family. Either way, it’s great option to replace your Apple watch… if you feel like paying $18.00 dollars, which is the entrance fee. Dunt Da Dunt. If you would rather spend your dollars elsewhere while studying abroad and see an old Clock Tower amongst ancient ruins then head to Tel Aviv-Yafo and check out Migdal haShaon Yafo, a.k.a. the Jaffa Clock Tower. This Ottoman designed clock tower stands three floors high and sits amongst an old stone promenade which will surely give you gram worthy pics. The British are known for their polite manner which is why you must never skip the line or cut the queue as they say. You will upset them very much if so. However, in Israel, you will have a rather different experience, which can be quite amusing. You will never have any idea if the person to your right, left, behind or in front is the beginning or end of the line. Whether you’re waiting for an ice cream, buying something at the Shuk, or getting on the bus just push your way through — There is no such thing as first or last in line here. You’ll notice from the way Israelis “wait in line” that the culture is fast paced. Once you arrive in Israel you’ll hit the ground running and opportunities will be at every step of the way. The British, although stereotyped to love their tea actually prefer coffee. We apologize for smashing your dreams of having tea parties all the time. If you do love tea and coffee, Israel has some quite unique offerings. Your program will take you on a few trips to Bedouin villages where you’ll participate in lots of tea drinking, in tents on massive Persian-style rugs. We promise it will feel surreal. Calling all foodies and thrifters everywhere the shuks in Tel Aviv will have you and your wallet smiling from ear to ear. Whether you’re in the famous Shuk HaCarmel that’s filled with falafel spots, tchotchkes, and beer stands or prefers a high-end market like Sarona there’s a shuk for all kinds.